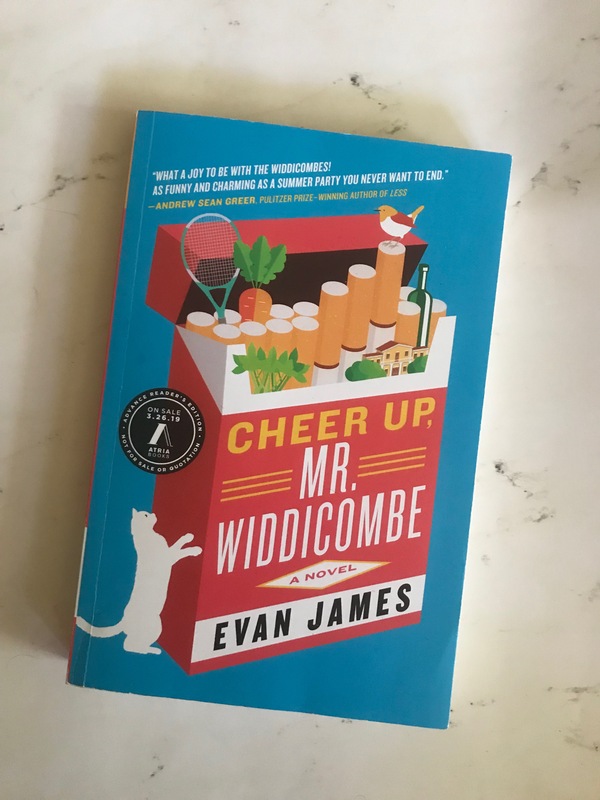 Evan James’ Cheer Up, Mr Widdicombe is about a family with too much money. They’ve moved to a beachier part of California where the Mrs is redecorating, the Mr is sulking, and the young Mr is also sulking. Mr Widdicombe Senior is upset that he can’t take his annual trip to France because the chateau owner leant it to his niece for her honeymoon. The younger Mr Widdicombe is upset that he had to leave Europe and his European boyfriend. The Widdicombes have opened their new place up to creators of all sorts, as a kind of hideaway to recharge in. Bradford, one such creator, is working on his screenplay when he distractedly falls head over heels for the Widdicombes’ personal assistant. He eventually goes on a bit of a bender and goes off everyone’s radars. Gracie, another such artiste falls deeply in lust with the Widdicombes’ gardener, Marvelous. They have quite the tryst, but it’s all built on a lie. There is quite the cast of characters in Cheer Up, Mr Widdicombe, and I enjoy that. I don’t enjoy, however, the complete and utter lack of chapters. There are three parts to this 274 page book, and it was upsetting (to say the least) when I found that out. I find books far easier when there are chapters to break them up. All in all, I liked this book. It wasn’t a favorite, and took me about a month to read, but the writing was solid. I cared about most of the characters, even though their lives were so different from anything I’ve known. It was still a lovely and interesting book.